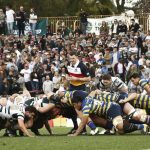 Northern Suburbs 2018 head coach Shannon Fraser knew that he had a pretty good foundation to work off when he came to North Sydney Oval. 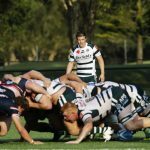 After all a Shute Shield title in 2016 and a grand final appearance in 2017 meant that there was a lOT to like about the habits and the skills of the Norths playing group. Fraser acknowledged right from the get go that he wasn’t going to tinker too much with the “Norths’ way” as he went about making something that was pretty good better. 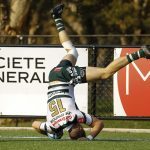 Norths finished the year in second spot on the ladder and got within three points of playing in their third straight Shute Shield grand final. I look back on the year fondly. I thought we played some really strong rugby throughout the season and positively evolved from the previous years. 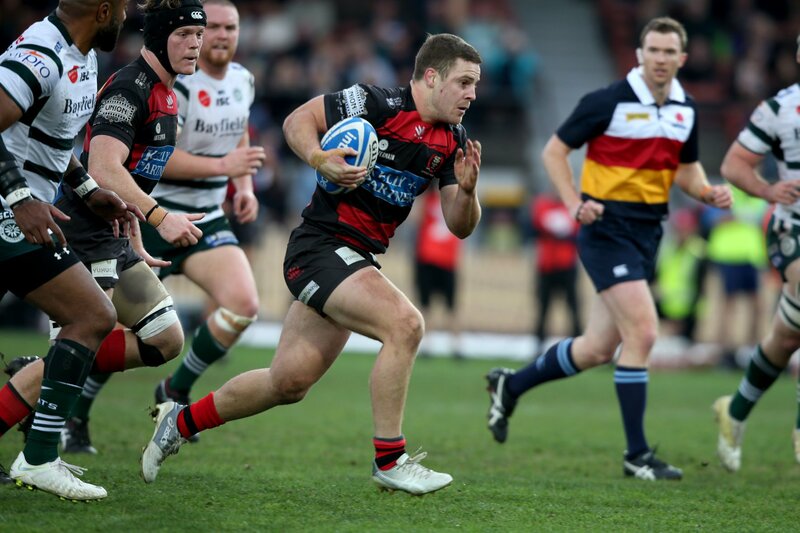 The reality however, is we fell short of our goal, which was to summit ‘Our Everest’ and win the Shute Shield. We did however achieve some great things; home quarter/semi, five teams in the finals, two grand finals and a piece of silverware, which is a testament to the club and the contribution of many good humans. A strong pre-season. The club has some truly amazing people who are not only rugby smart but self regulated humans and driven every day to be better. When training desire and ethic is driven by the playing group it makes things easier to simply focus on the technical/tactical detail of what needs attention. The guys work really hard and maintaining a broader squad from day one to the last trial meant the guys had to ‘compete’ at every session. I think getting off to a good start against such a strong group of clubs (Warringah, Manly, Eastwood, University, and Randwick) reinforced a confidence in the group that we were able to draw upon in the middle of the season when we struggled a little. I think after back-to-back poor performances against Souths and Easts, our Round 12 game in Cowra against Eastwood was a small turning point, and even though we lost by seven points, we turned the corner in relation to effort and intent – we didn’t lose another game until the semi-final. While we did evolve the way we played this year and challenged the norm, I reckon some of the best decisions we made were based around reaffirming what worked for the group and resisting the temptation to change for change sake. I thought we evolved our attacking shape correctly throughout the season and had a nice balance between using the ball and field position. I think we missed the mark a little around set-piece at times throughout the season. It’s an area that you simply cannot ‘overlook’ and I reckon at times I missed the mark on the putting the right amount of importance on it. 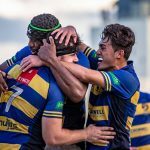 We were certainly challenged with depth in our tight five but I thought the guys that stepped in, and coaches Sape Misa, Ben Matwijow and Mike Reid did a fantastic job under the circumstances. A really positive year overall. Five teams in the finals, home quarter/semi, two teams in the grand final and third grade bringing home some silverware. Not a bad year. Looking outside the contracted guys, I though the standards of the usual suspects like Hugh Sinclair, Harry Burey, Richard Woolf, Angus Sinclair, Gary Bautz, Nick Duffy, Connor Vest and Lachie Creagh were very high. Additionally I thought Sam Giltrap, Will Connolly, Dave Henaway and Taylor Francis all played significant roles in the success that the team did achieve. Hugh Sinclair without a doubt – tough, smart, talented. Richard Woolf is a genuine freak, Patrick Tafa who is just starting to understand how to use his big frame, Harry Burey is very talented and tough, and a bit if smokey in George Miller, Will’s younger brother, who has a big future. Top four finish with a genuine chance of winning silverware.